Last September 27th, Kappa Kappa Psi and Tau Beta Sigma lost a real friend. 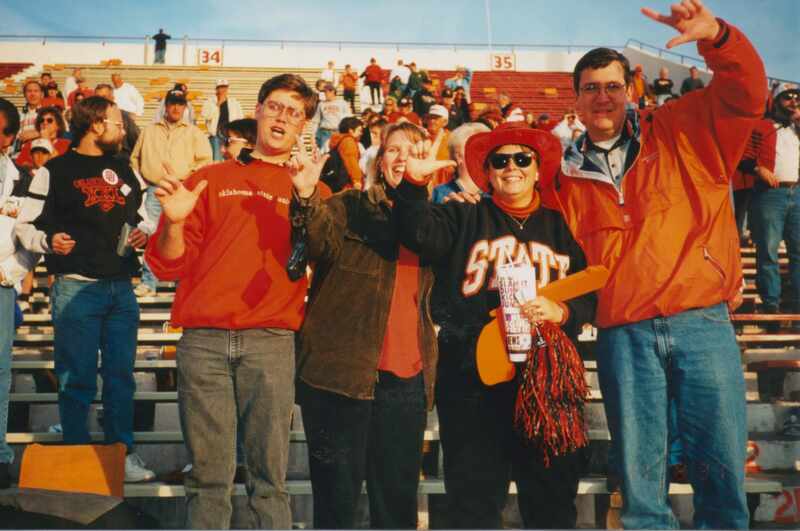 Dale Croston, an alumnus of the Alpha Chapters at Oklahoma State University and a member of the National Headquarters staff, passed away due to complications associated with colon cancer surgery. His wife, Lisa Croston, who is well known to everyone in the organizations, gave me the great privilege of speaking at Dale’s memorial service. Several people who attended that celebration of Dale’s life asked me to share my thoughts from that day with the readers of the PODIUM. I’ve edited them a bit for readability, but they represent what it means to me to have known Dale and to be his brother. My name is Steve Nelson and I’ve been friends with Dale and Lisa for over 27 years, since they both came to OSU as freshman. 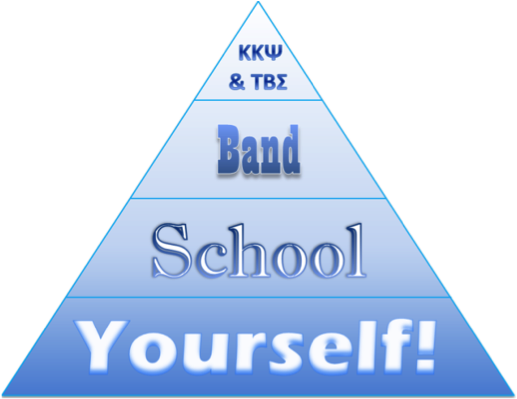 I know them first as members of the OSU bands and then through Kappa Kappa Psi and Tau Beta Sigma. 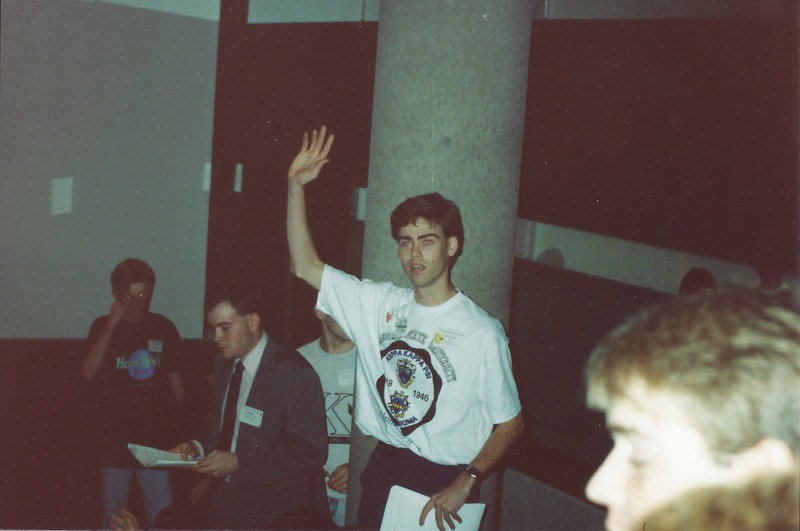 Dale came to OSU as a freshman in the fall of 1984 and joined KKPsi the next year, in the fall of 1985. Over the next almost 30 years, Dale became one of the most respected and most awarded members of the Fraternity. I said that Dale joined Kappa Kappa Psi in 1985. 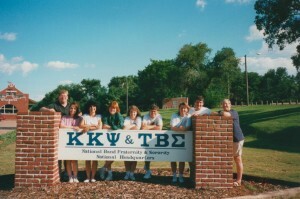 Dale liked to say that he “accidentally” joined Kappa Kappa Psi in 1985. As he told the story, one day during marching band practice, he heard an announcement that the final information session for that year’s membership education class would be held that night. Dale, wanting to know more about the fraternity, convinced his friend John Anderson to go check out the meeting. He told John that Kappa Kappa Psi might be something they’d be interested in. Well, it turns out that this was not just an information session. Walking into the meeting, they found themselves actually lining up for First Degree. Going with the flow, they found themselves becoming part of an organization that they knew nothing about. It could not have worked out better. Dale was a perfect fit for our fraternity. For as long as I can remember, Dale was one of those guys that you just always wanted around. When he joined the fraternity, he already had all the qualities that made him a perfect brother. His dedication, his loyalty, his preparation, his ability to problem solve, and especially his honesty are all traits that made him an ideal brother. Dale is an Eagle Scout and I think those experiences in scouting are what made him so ready to just plug into what the fraternity is intended to be. He was also just a great people person. During the week after Dale passed, I spent quite a bit of time reading the things that others wrote about him on Facebook. As word started to get out, literally hundreds of people wrote in or made comments. And there were a lot of common themes to what they wrote. Everyone who knew Dale, saw him as one of the friendliest people they knew. They talked about his dedication to the fraternity, how hard working he was, and how he could always be counted on to be there when his help was sorely needed. They also talked about his generous nature. How when they were a scared and lonely freshman, he was the first to welcome them in. If they were socially awkward, Dale would make sure that they were included in whatever was going on. One person called him a gentleman’s gentleman. “At the 1996 summer District Leadership Conference, a time capsule commemorating the 75th Anniversary of the Fraternity was being buried at the National Headquarters. The morning of the ceremony the headquarters staff was running around crazy trying to get everything ready for that afternoon’s event. Gwen Wilburn, others, and myself kept remembering little things that needed to be done. As we would say that something needed to be done, Dale would walk by slowly pushing his hand truck and say, “Already done.” This happened more then a couple times that morning. As I mentioned before, Dale, without being ambitious about it, has become one of the most highly respected and most awarded members of the Fraternity. He’s received almost every national award that he is eligible for. 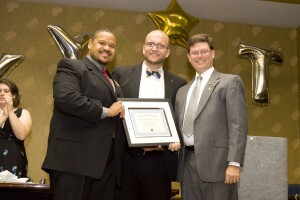 He was made an honorary member of Tau Beta Sigma and was recognized by both organizations with the Stanley G. Finck Memorial Award, which is given to someone who has worked to advance cooperation between the two organizations. Over the last almost 30 years, Dale was somehow involved in every major activity or event of the fraternity. If he wasn’t supporting something that Lisa was doing for Tau Beta Sigma, he was attending meetings and conventions, moving equipment, repairing or building something at the headquarters, welcoming visitors, housing guests, helping somebody move, or just spending time with some brother or sister that came around. 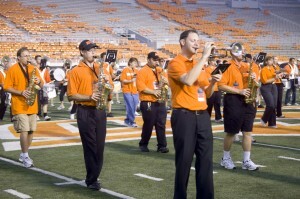 Dale loved the band and loved being in the band. When you look at pictures of him in uniform, or in concert, or riding on a band trip bus, or at some other band function, you can tell that Dale was completely in his element. He always seemed at ease. I can only remember a few times when Dale was upset or really frustrated. Most of the time, things would just roll off his back. 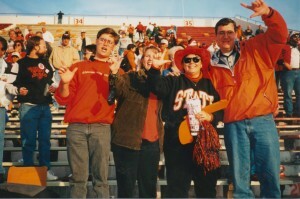 My favorite memories of being with Dale and Lisa are on football game days. If I needed to find them, all I had to do was go to wherever the band was. They would always be in the stands for pregame, halftime and postgame. Because we all know that football games are just excuses for marching band performances. Most of all though, I think Dale liked being of service to people. His last job was working at the Kappa Kappa Psi / Tau Beta Sigma Headquarters. His position was the Colony and Chapter Education Coordinator, an important position that helps chapters around the country to properly teach new members what it is to be a brother or sister. I can’t think of a better legacy for him. He was a unique man, with a calm easy going demeanor. If anyone can be described as the best example of a brother of Kappa Kappa Psi or Tau Beta Sigma, my vote would be for Dale. We have a motto in Kappa Kappa Psi – “Strive for the Highest”. Dale not only did that himself, but he wanted that for everyone else too.